A recent review examines the newest play, “Kol Nidre” by Yehoshua Sobol. Sobol’s plays have often elicited a passionate reaction, and this one is no different. In it, two haredi men are “… supposed to be attending their rebbe’s Friday night tish. As it turns out, they’re living a double life, dutiful husbands and yeshiva scholars by day and eager initiates into the secular world on Friday and other nights.” When one of the two confesses to his pregnant wife about his deception, the entire construct of their lives begins to fray. We have written often about the various dualities in our lives – as Jews and as human beings. There is the “black and white” of right and wrong, of good and bad, of sacred and profane but the truth is, even with these powerful and clear dualities, existence is hardly so clear cut. Abraham was a righteous man. Enigmatic? Why such a distinction? Simply, we see in Lot a person in constant tension between his sense of “righteousness” and his baser instincts. As Rabbi Gefen points out, he was one of the few to accompany Abraham on his journey, answering with his uncle the call to leave the land of his birth and his family. Even a deep love and respect for his dear Uncle Abraham would not have been enough to prompt him to embark on that frightening journey. To leave all that he knew behind demanded a tremendous faith. What’s more, the Torah shows that he is clearly a good and kind man, going so far as to risk his life in Sodom to defend and to host strangers in his home. The sages compliment him for his discretion in not revealing that Sarah was Abraham’s wife. We learn from them that he even eats matzah on Pesach! If only any of us could accrue such instances of righteousness in our own lives! If only such instances of righteousness told the whole story! Who could make such a statement! What makes it even more difficult for us to comprehend from Lot is that our texts and our traditions make clear that even after making it, he continued to recognize that God was the true God. How could someone who makes such a statement play such an integral part in King David’s ancestry and the line leading to the Messiah? Both willing and reluctant. Push and pull. He knew the truth and embraced it. And yet, he also resisted. He was a spiritual man who knew the true God and he loved money. The duality was not one or the other; it was one and the other! Poor Lot. He struggles with such terrible inner conflict. Should he stay in Abraham’s world or give himself wholly to the world of pleasure, money and lust? He is pulled – torn – in in both directions. But, ultimately, despite the logic of staying in Abraham’s world, he leaves and ends up in Sodom. He is seduced by the bright lights and allure of the city and all that it represents. How different we would act! Imagine to be in the presence of Abraham Avinu and voluntarily walk away!! It’s inconceivable! Is the tension to which he succumbed really any different than what we all see and experience in our own lives? Are the enormous inner conflicts and battles he fought any different than those being fought by yeshiva bochurim in our own frum society? Of course not. I see people like Lot all the time, young – and not so young – men born and bred in Williamsburg, Boro Park and other Abrahamic communities who are seduced willingly and not-so-willingly by contemporary Sodoms; who find themselves in constant battle. Levi Brackman in an October 2013 edition of The Times of Israel wrote an article entitled, “Frum and Stuck”. In it, he writes about people, “… within the Orthodox community who conclude that they can no longer live in accordance with the dogmas and practices of their native community…” Like Lot, they can no longer live within the community but they cannot fully quit it either. Where are they to live? What are they to do? The men I meet who are, indeed, “frum and stuck” confess that they cannot totally quit and remove themselves from their natural habitat for “social reasons”. How can they, they ask with haunted eyes, divorce themselves from their parents? Their siblings? Their wives and children? Their grandchildren! So, what do they do? They go through the motions. They continue to appear as though they are devoted to their community and to the mores and practices of Orthodoxy. On the outside they appear to be as frum as ever. But on the inside they are disintegrating. They daven in the morning and then, before coming home from work, stop at a bar or worse. Their religious garb no longer seems to fit, not because it is the wrong size but because it proclaims – at least to them – the constant lie they are living. It is not the clothes that no longer fit; it is that they no longer reside in their own skin! It would be easy to judge these people harshly. It would also be hurtful and unfair. It is not necessary to excuse or justify these actions to appreciate how difficult and damaging the consequences of their double life are. The psychological stress alone has to be nearly overwhelming. Those who strive to unite body and soul in a spiritual unity know how hard that endeavor is. Imagine how much harder it is to live a life that is constantly at war with itself! The inner turmoil must roil them every waking and sleeping moment! They are torn by genuine, if confused and contradictory, feelings. They hold a real reverence for some of the founders and leaders of their communities and revulsion for many of the current leaders. 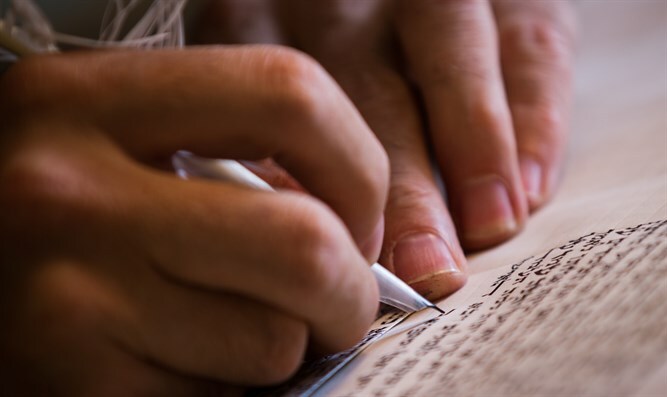 They are deeply immersed in Torah knowledge, many having studied for hours upon hours in shiur and yeshiva and invested great energy in those studies. Still, they have rebelled and rejected the basic conclusions of morality, integrity and family life the Torah lessons teach. I had taken issue with Rabbi Geffen’s use of the passive voice in describing Lot’s choice in Sodom. He had made many determined decisions that led him to that night. But, like his modern emanations, his decisions were not motivated by evil or disrespect. He was, in fact, deeply drawn. Seduced. Despite being rooted in Abraham’s tent, he saw not God’s light shining brightest but those of Sodom. What allows the soul to be drawn away from Abraham’s tent? One needs sympathy and ahavas yisrael to not just be revolted and turn one’s back on these truly conflicted souls, for whom the material world is so alluring that they are blinded to the beauty of the spiritual one. The truth is, that in the very communities which they are quick to criticize and reject, their leaders do “count them out”. The leaders of these communities are quick to turn away from these “modern Lots”. They reject them forcefully and completely, without remorse or conflict. We have spoken often of OTD Jews and how their families and communities shun them. As difficult and painful as it might be for us to acknowledge the challenge their existence causes, let us acknowledge that there are reasons, circumstances, and explanations as to why these Lots ended up in Sodom. Her chesed and joy should be a lesson to us all. Yes, Lot could be challenging and irritating. By his very existence he seems to besmirch all that we hold dear. And yet, Henny Machlis taught that such sentiments are certainly logical and sound but to her dear soul they missed the point. Abraham chased the Five Kings as far as Dan to save Lot. Should we do any less?